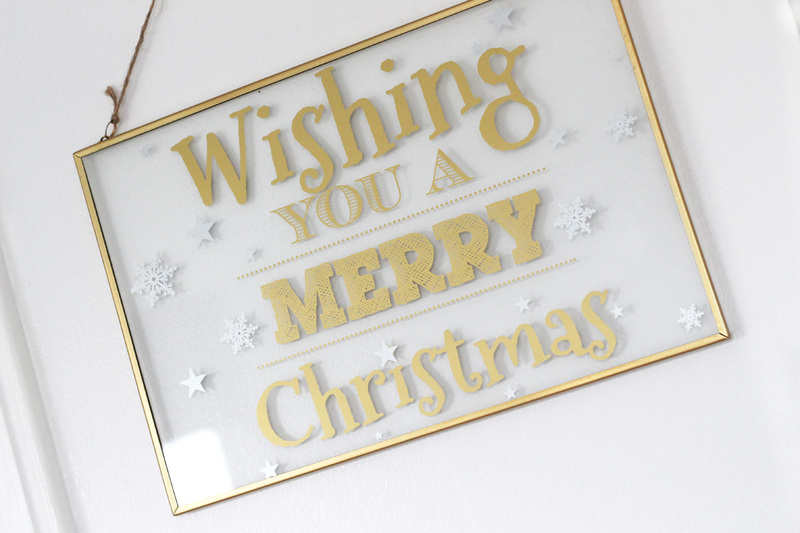 I love traditional Christmas decor, but after having decorations with lots of red and gold for a really long time, I decided it was time to embrace 'white Christmas'. 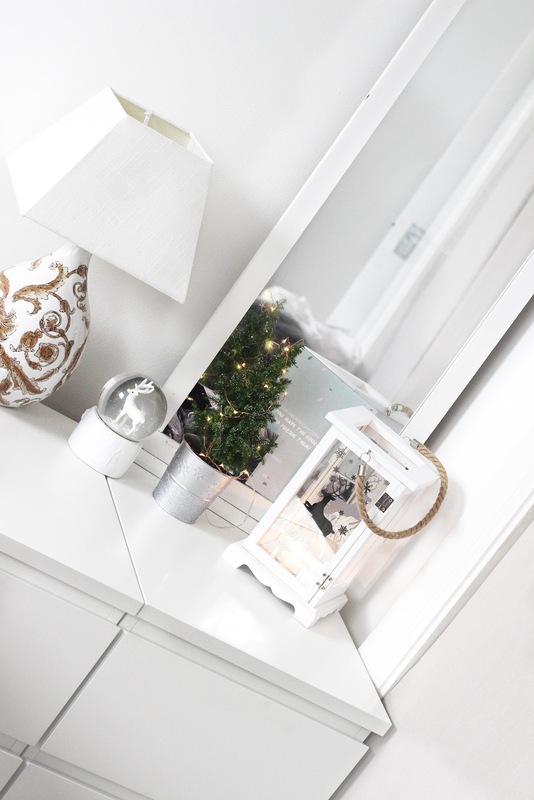 This included a new tree, new white and silver baubles etc (blog post coming soon) and I stuck to that theme in the bedroom too, with stunning grey bedding and white accents. 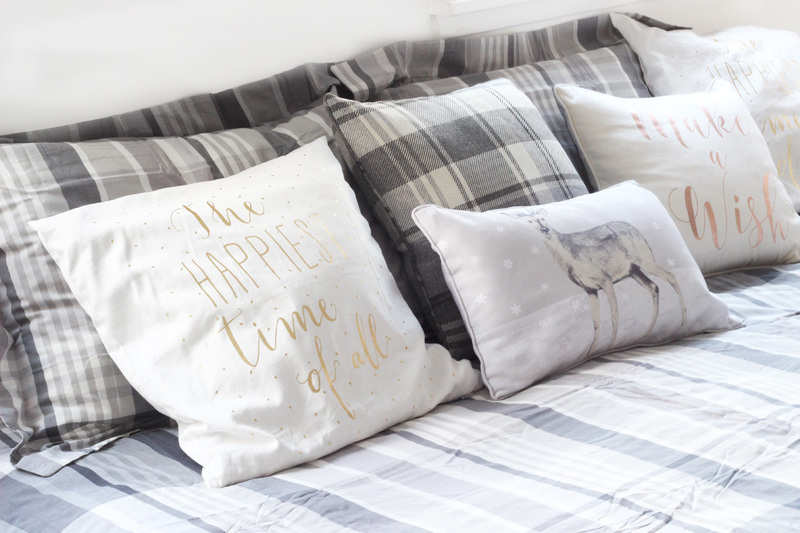 The new bedding isn't overly festive, but I wanted to be able to use it all year round so I added some Christmas/Winter themed cushions and it looks beautiful! 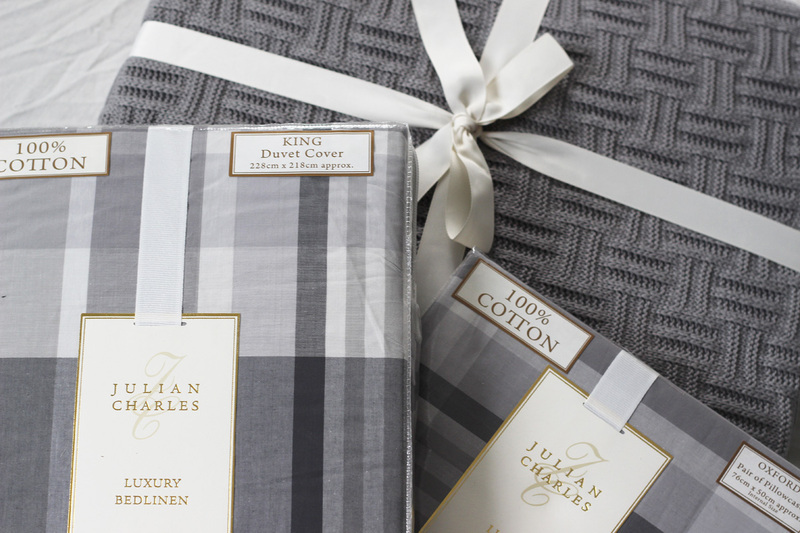 The bed linen is from Julian Charles and it's part of the luxury Kennedy range. Even my husband approves and loves the charcoal grey check pattern, which doesn't happen often. 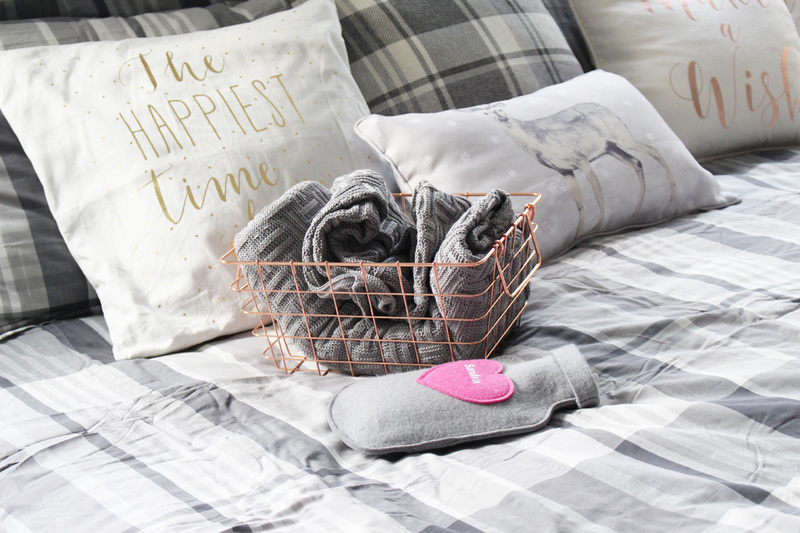 I picked the Kennedy Charcoal Grey Luxury Duvet Cover* which is currently down to £27.00 (from £90.00) and a pair of Oxford Pillowcases*(£32.50, £9.50). A huge saving and the quality is just lovely. I love the big pillowcases as they look so much better on my super king size bed than standard ones. 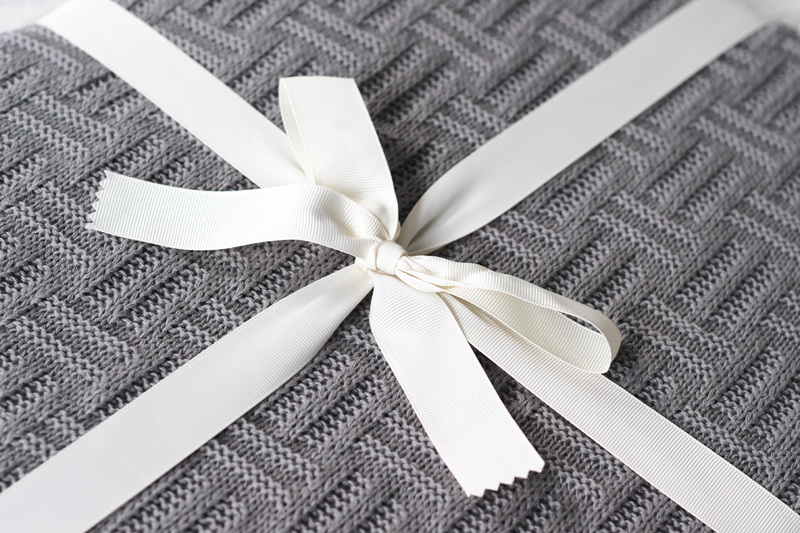 I also have the Morgan Grey Luxury Embroidered Knitted Throw*(£70.00, £35.00) and I am so pleased with it. 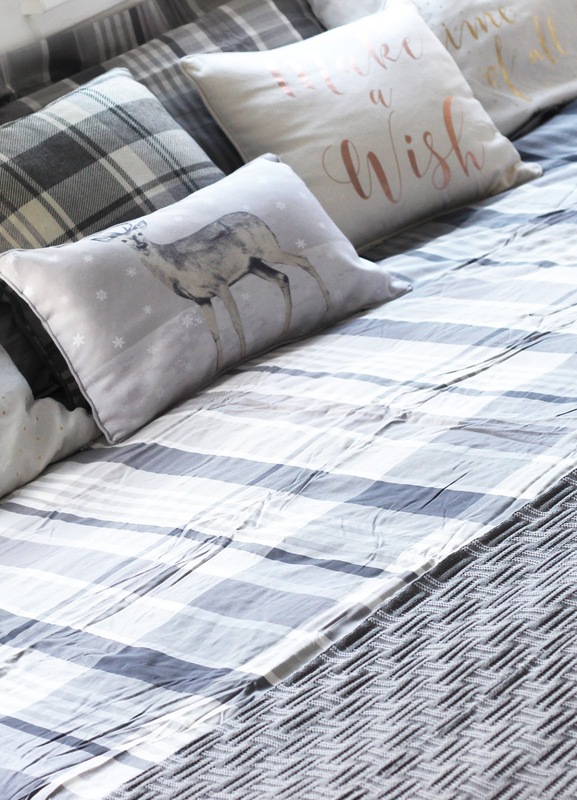 I love blankets, especially in this pattern and the soft cotton adds a touch of luxury. The grey colour goes perfectly with the bedding too. And it comes wrapped with a ribbon, so it would make a nice gift. 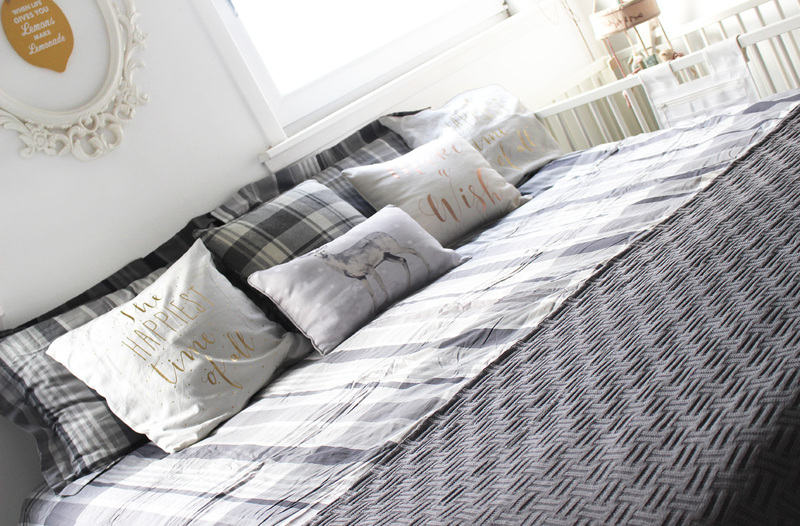 Scatter cushions are a must have, if you want your bed to look gorgeous. They are also a pain to take on and off the bed, as they are only there to look pretty, but we have to make sacrifices for home decor, right? Haha. The white 'The Happiest Time Of All' cushion is lasts years H&M and the 'Make A Wish' one is from Home Bargains (£4.99, this years stock). 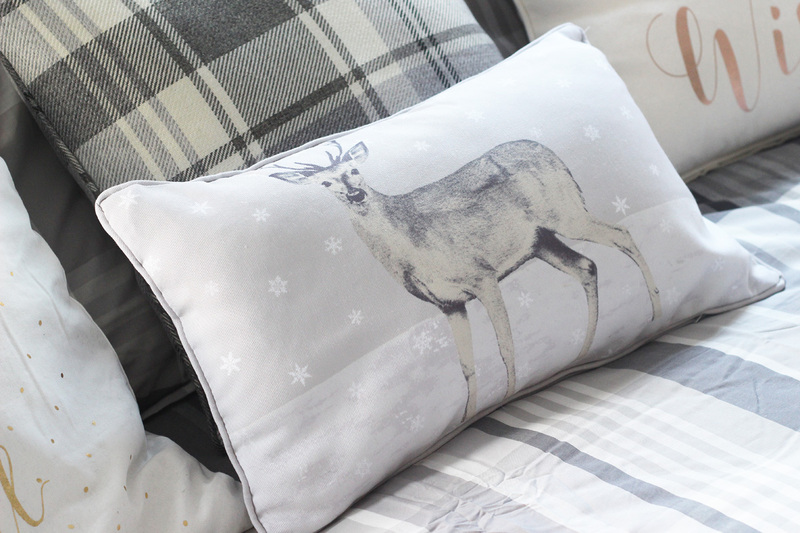 I also opted for this cute Reindeer Boudoir Cushion*(£35.00, £4.99) and the Silver Inverness Cushion*(£22.00, £11.00) which goes perfectly with the bedding and also brings a bit of Scottish heritage into the mix. Mu husband loves anything in a tartan/check pattern, so this is his favourite bedroom decor theme to date. I also picked up some bits and bobs to put on the units/walls, including this lovely sign from B&M. 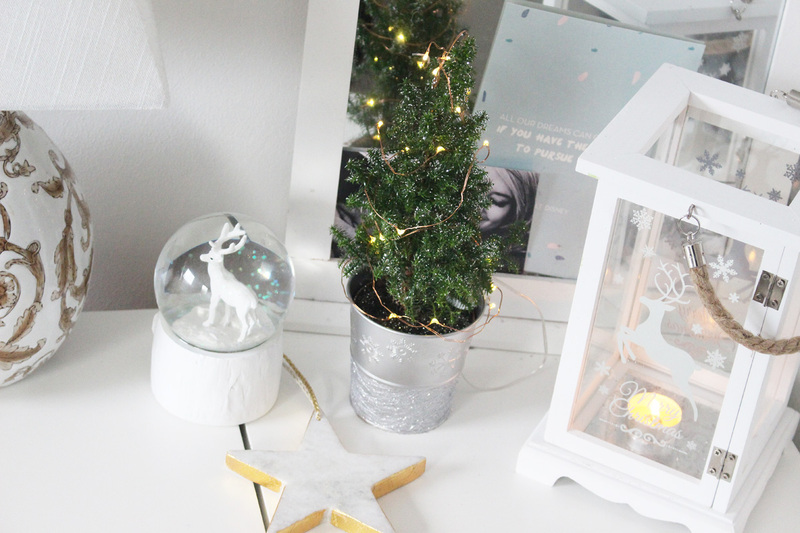 I even got a mini Christmas tree for the bedroom and put tiny little lights on it! I know... It is too adorable! I can't even cope! It's actually a real tree, so I am hoping to look after it and grow it bigger for next year. It was from Asda by the way. 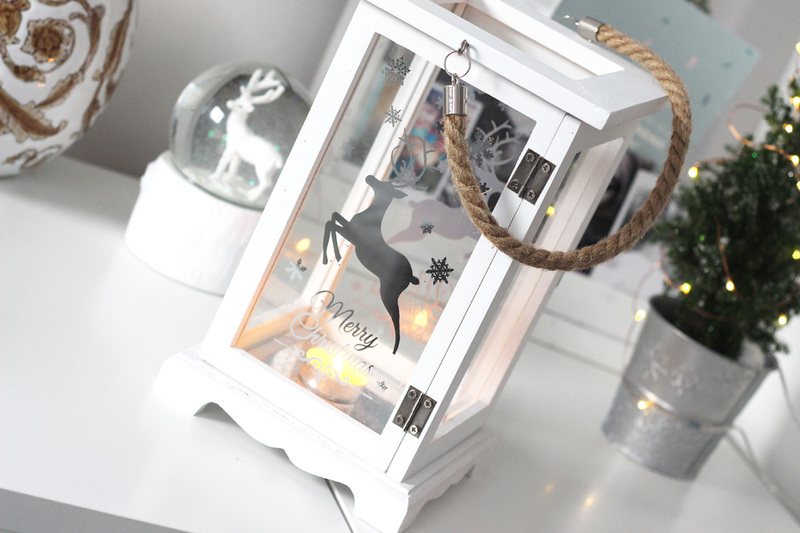 The reindeer snow globe is from Home Bargains (only £3.50), the marble star is from TK Maxx and the big Lantern is from B&M and I picked it up for £3.50! Yep! I couldn't believe it. Such a bargain! 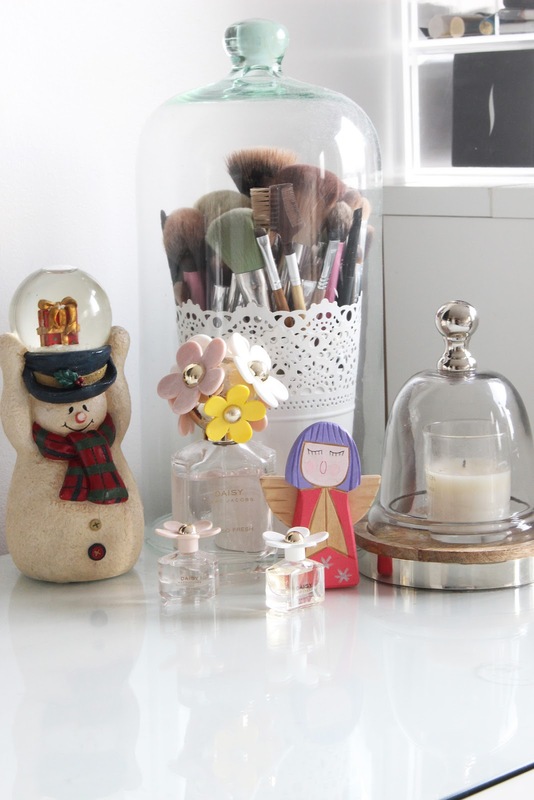 Some more festive bits, including this adorable Snowman (charity shop find), a little wooden angel I got as a gift from a close friend over 10 years ago (from a market in Torun, Poland) and gorgeous glass domes from TK Maxx which I use for my brushes and candles.